王海英, 李慧源, 罗红月, 张慧予, 姜扬, 郭利晴, 陶蕾, 孙晓红. 青蒿素调控NF-κB信号通路介导阿尔茨海默病炎症反应细胞模型的研究[J]. 中国医科大学学报, 2018, 47(6): 552-555, 561. WANG Haiying, LI Huiyuan, LUO Hongyue, ZHANG Huiyu, JIANG Yang, GUO Liqing, TAO Lei, SUN Xiaohong. 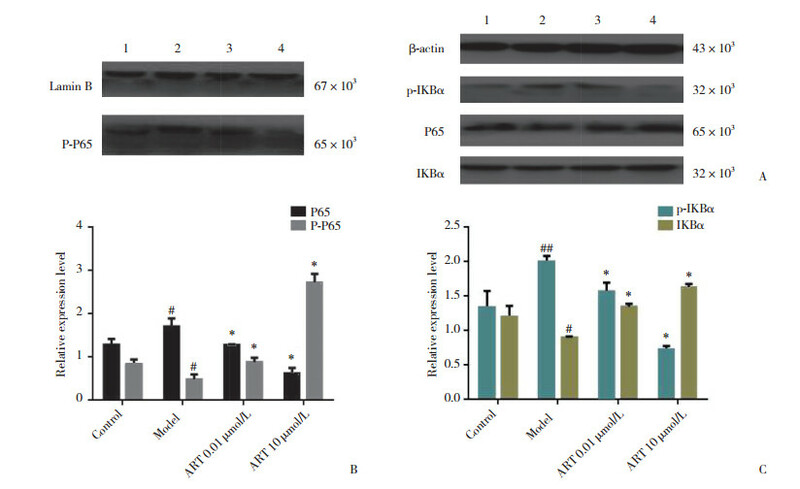 Artemisinin Mediates Inflammatory Reaction in Alzheimer's Disease Cell Model by Regulating NF-κB Signaling Pathway[J]. 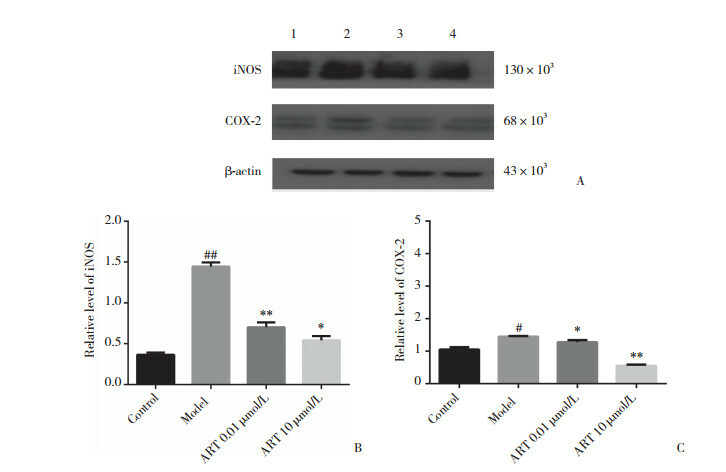 Journal of China Medical University, 2018, 47(6): 552-555, 561. SKLYAROV AY, PANASYUK NB, FOMENKO IS, et al. 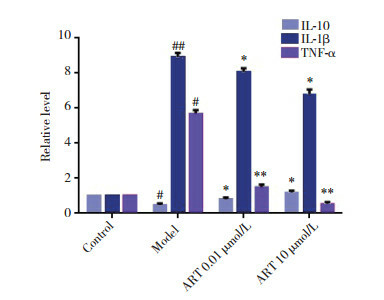 Role of nitric oxide-synthase and cyclooxygenase/lipooxygenase systems in development of experimental ulcerative colitis[J]. J Physiol Pharmacol, 2011, 62(1): 65-73.